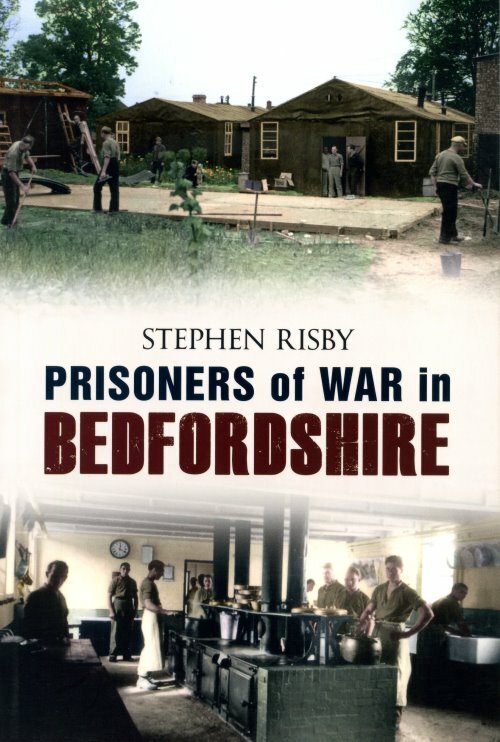 An account of prisoners of war in Bedfordshire during the Second World War has been long overdue. Stephen Risby has blended both military and social history to produce an excellent outline of the subject, which answers the questions: why were they here, what did they do, what were the problems and how were they perceived locally? To answer these, the author has carried out extensive documentary research, as well as drawing on the Mid-Bedfordshire oral history research project, “Changing Landscapes, Changing Lives” [BLARS Z1205] to bring to life the experiences of both prisoners of war [POWs] and the civilian population which had contact with them. There are useful endnotes on sources and a helpful bibliography. Finally, there are five appendices of transcribed documents which illuminate the topics of the treatment of prisoners, what constituted a POW establishment, an International Red Cross committee report on the Ducks Cross POW camp, instructions on camp maintenance and an end-of–the-war official visitor’s report on the Colmworth and Ducks Cross camps and various hostels around the county. However, the fact that Amberley felt it acceptable to publish this history book without an index is not only disappointing but also deplorable. Nevertheless, this well-illustrated paperback is very readable and informative.